Wandering Fi: Why Primates? Why me? Why Now? Did you have a passion as a kid? Mine was apes. 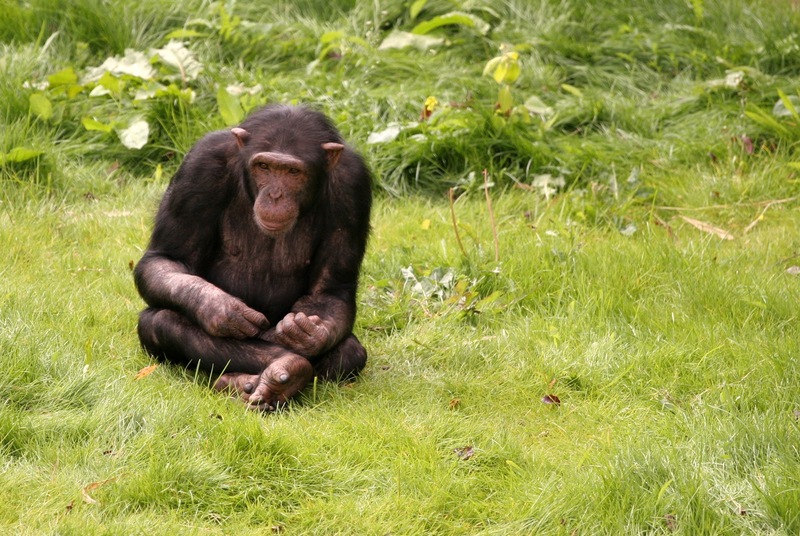 I could spend hours watching the gorillas and chimps at the Aspinall parks in Kent, where I grew up. I wanted to learn more about them. My college friends even said that I was most likely to be trekking in the jungles saving apes in my future. But I didn't believe in myself enough to follow that path. Instead, I went to grad school, worked, married, and settled down. Admittedly, I didn't exactly do that in a conventional way, but I knew I wasn't a scientist so what could I do? As it turns out, I could and can do a lot. You see I write. I write for a living. I write about things that fascinate me. And I write to teach others. I've authored several books, written for encylopedias, magazines, and more. It's time to believe in myself, believe in my dreams, and write about apes. I'm heading to South Africa. That's an important point - no matter how much funding I am able to raise here, I am going to South Africa in the spring of 2013 and I will be volunteering at a primate rescue facility. So where does IndieGoGo come in? Simple. I can afford to spend some time at one facility, but the more I raise, the longer I can stay and the more research I can. Raising extra funds will allow me to spend time at two facilities, including Jane Goodall's Chimp Eden, where I can not only volunteer but undertake an in-depth primate education program, learning about chimp habitats, rehabilitation, conservation, and so on. To learn more about my IndieGoGo campaign, click here. I'll be posting updates on this blog in the coming months, and will be starting a private blog for funders during my trip. no clue, my passion was horses! So typical. Fiona, I was looking for a button to follow you on this journey, but I couldn't find it! This sounds like such a fascinating adventure. I am jealous.